Warehouse Loading Docks: Custom Solutions by QMH | QMH, Inc.
Are your warehouse loading docks running smoothly? If you’re looking to streamline shipping and receiving and speed up warehouse processes, invest in convenient warehouse loading dock solutions for your facility. QMH provides custom dock solutions to accommodate various warehouse and distribution center needs. 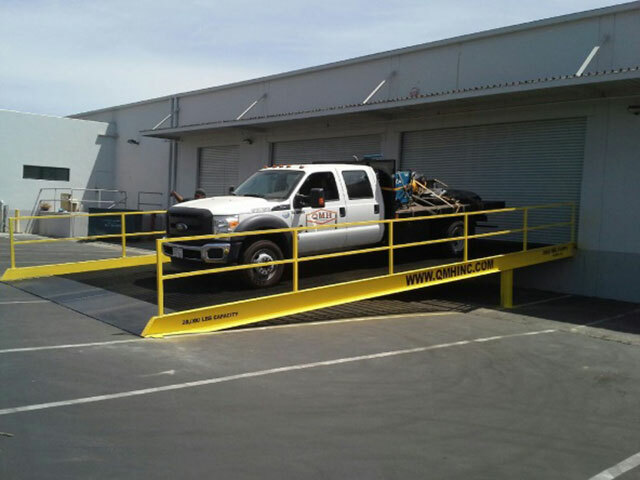 We manufacture our own industrial steel mobile yard ramps and dock ramps, and can design a custom loading ramp specific to your needs. There are many customization options including size, capacity, additional dock platforms, railings, and more. Learn more about custom warehouse loading dock solutions to increase efficiency and safety. 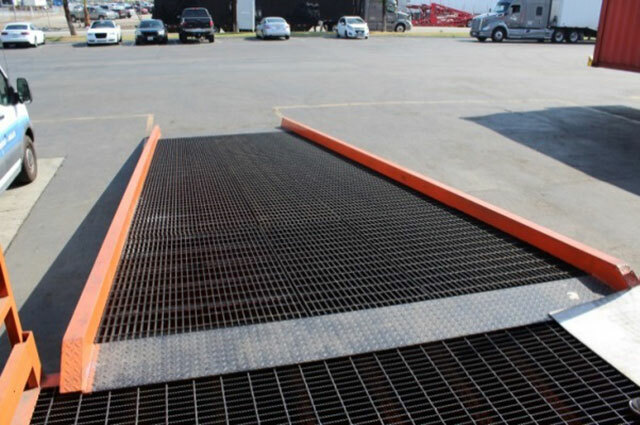 The first decision to be made when purchasing a ramp is whether to invest in a mobile yard ramp or permanent access ramp fixed in one location. 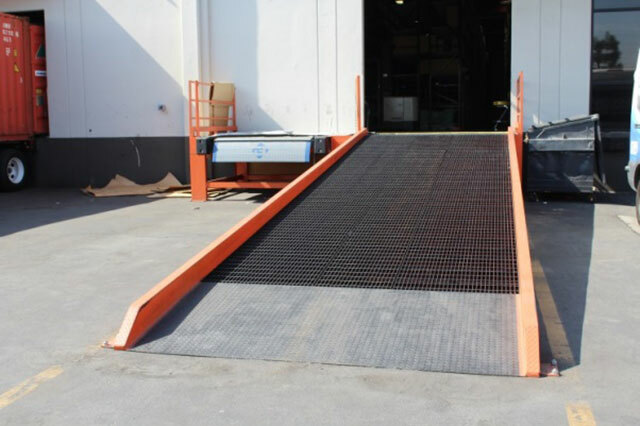 A yard ramp can be moved with a forklift for use with your warehouse loading dock or to unload directly from a truck or container to the ground. 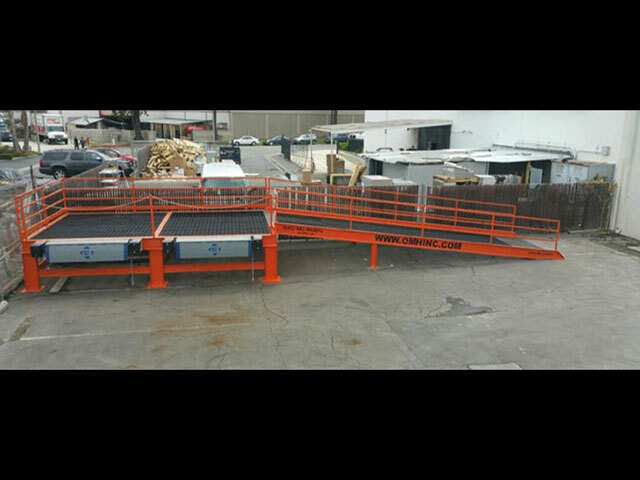 An access ramp is permanently installed at a loading dock or somewhere in your yard. Access ramps allow more customization options to accommodate your specific needs, including dock platforms and custom sizing. Dock platforms are often constructed to create a more level space, as well as creating additional dock space. Installing a freestanding dock in your yard can increase the number of trucks you can accommodate and allow for business growth without having to move facilities. In the photos below, we’ve created an entirely new dock space for loading and unloading with a dock platform attached to a custom access ramp. 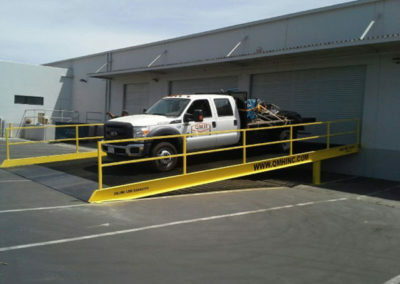 Standard loading dock ramps designed for forklift use are 6 feet wide by 36 feet long, with a 6-foot level off. 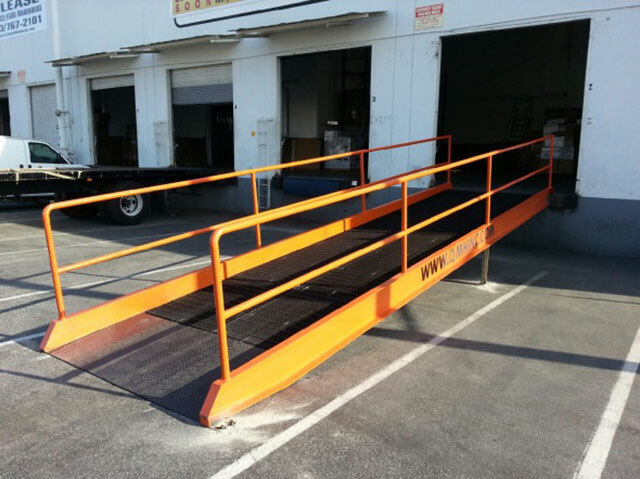 If you plan on using the ramp for more than just your forklift, you will likely need to customize the ramp size. We’ve constructed custom ramps as wide as 15 feet. At QMH, the quality difference of our portable warehouse loading docks and forklift loading ramps starts with the design. Our portable yard ramps are manufactured in the USA. QMH ramps feature a 12-inch thick channel design that creates long-lasting durability and maximum strength. Safety is a priority, and our loading dock equipment is designed with safety in mind. 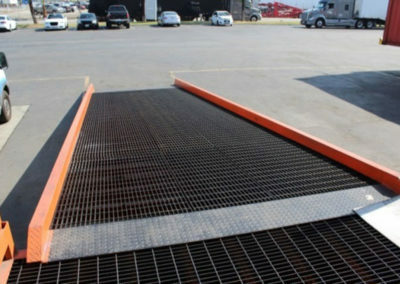 All our dock ramps are designed with serrated grating to ensure ultimate traction in any weather condition. If you need custom loading dock solutions for your warehouse facility, don’t hesitate to call one of our experts today for a free quote. With over 25 years in the industry, we provide you with ideal solutions for issues you’re experiencing with your warehouse loading docks. 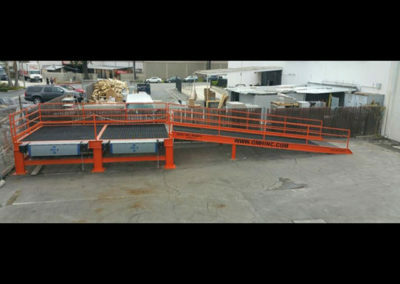 Check out one of our success stories about a recent custom access ramp project we did in Santa Ana, CA.